From the planning phase to execution, our Banquet Coordinator will help you host a fabulous event. Please contact us by clicking the "Let's Plan An Event" button below. Leah will respond with all the necessary details to help get the party started! 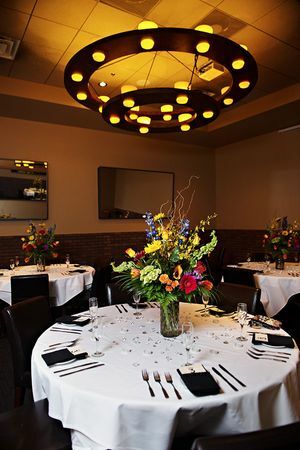 Our Private Dining Room, located on the main floor, will accommodate up to 40 people for your lunch meeting, cocktail reception or intimate dinner party alike. This space is warm and inviting and includes complimentary use of our jumbo video screen, projector and AV connections for your PC. Formal dinner, casual cocktail reception or lunch meeting… we have your needs covered! 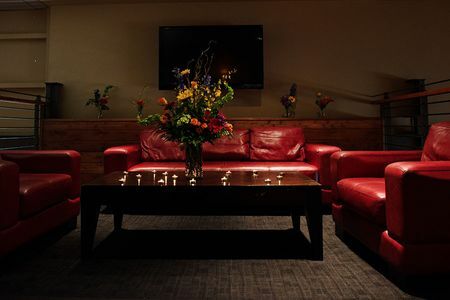 The Sky Box, our upstairs lounge, is the perfect venue for cocktail receptions or game viewing party and sure to provide you and your guests a unique, VIP experience. Accessible by stairs only and accommodating 20 - 80 guests, this space has tall cocktail tables, red leather sofas and five flat screen TVs. The stylish atmosphere combined with award winning food and innovative cocktails is sure to make your event successful and memorable. Please note the Sky Box is accessible by stairs only and is not suitable for an event that includes a speaker or presentation. Enjoy Austin's great outdoor weather and host your event on our covered patio! This space is well suited for your casual dinner party, weekend brunch, or cocktail reception and features two comfortable sofa sections and a TV. We offer a variety of menu options, appealing to a wide range of culinary preferences. Each of our menu items is prepared from scratch and cooked to order, allowing us to provide a high-degree of guest service while also ensuring menu items can be customized to suit individual dietary restrictions. A pre-order is never required; simply select the menu that you’d like to offer your guests and we’ll take care of the rest! Click on the link below to view our sample Dinner Menus available for Private Parties. Cover 3 serves a full bar with a premium well, twelve draft beers from our Iced Cobra taps and an extensive selection of wines available by the glass or bottle. Depending on your preference/budget we offer hosted beverage, drink tickets and cash bar options. All beverages are billed on consumption. Whether you’re hosting a formal dinner party, networking lunch, celebratory brunch or cocktail reception, we’ll help you host a fabulous event. Hospitality is the name of the game and COVER 3’s got you covered! 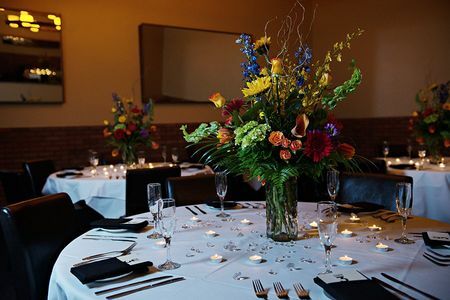 To reserve the space for your event we require a signed Reservation Agreement along with your credit card information. A deposit is not required. There is not a flat fee for the space however we require a food and beverage minimum. All food and beverage purchased from your event space will go toward meeting the minimum. Food and beverage minimums vary by specific date and timeframe. For details and availability please click on the Let's Plan An Event button below. COVER 3 is an awesome venue for corporate events and fundraisers. 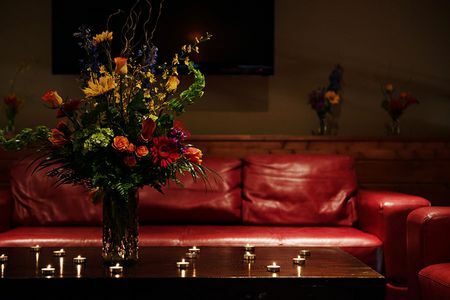 Accommodating up to 350 people, we host an amazing private party that is certain to provide a memorable experience for all!